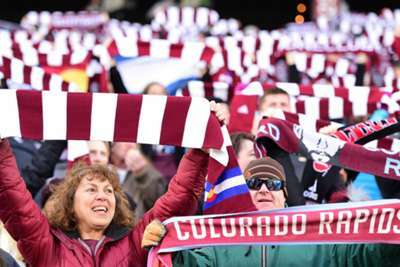 The Colorado Rapids' recent upturn in form continued as they twice came from behind to draw 2-2 away to LA Galaxy in MLS on Tuesday. Galaxy, fourth in the Western Conference and fighting to keep pace with FC Dallas, led through Ashley Cole and Sebastian Lletget, but were pegged back on each occasion through goals from Edgar Castillo and Niki Jackson. The result leaves the Rapids second from bottom in 11th place, while Galaxy are now five points behind Dallas, having played two more matches than the top two and four more than third-placed Portland Timbers. Galaxy broke the long deadlock in the 59th minute at Stubhub Center, club captain Cole receiving possession inside the penalty area with his back to goal, turning and firing a powerful finish past his old Manchester United rival Tim Howard in the Rapids' goal. The Rapids equalised in the 74th minute, Castillo running onto a loose ball outside the box, advancing into the area and lashing a low, firm finish into the far corner of the net. It did not take long for Galaxy to restore their lead, though, Ola Kamara teeing up Lletget to lash home a strike from the centre of the box to the top left corner and make it 2-1 to Galaxy. Undeterred, Rapids drew level again in the 82nd minute, substitute Jackson running at the hosts' defence and then finding the back of the net with the help of a deflection that fooled goalkeeper David Bingham. Kamara had the ball in the back of the net in the 94th minute, but his effort was harshly ruled out for offside. 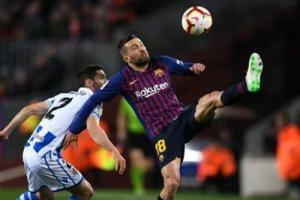 Barcelona's extensive workload across multiple competitions was a factor as they laboured at times in the 2-1 win over Real Sociedad.